The late sister of HRH Queen Elizabeth II was a controversial figure, often criticised for her lavish lifestyle and snobbery – but also noted for her love of one particular Scotch whisky: The Famous Grouse. As the second series of The Crown airs on Netflix, Iain Russell tells her story. 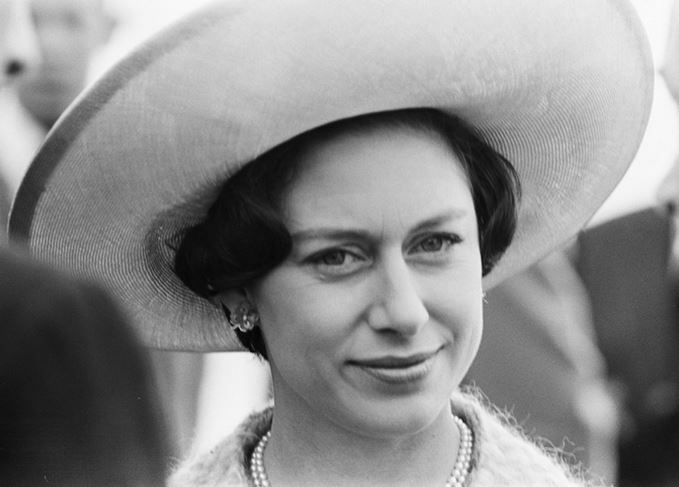 Princess Margaret, Countess of Snowden (1930-2002) was the sister of HRH Queen Elizabeth II, the current monarch. She was a controversial figure, criticised for her extravagance, rudeness and disdainful hauteur. The Guardian called her ‘a thoroughly rotten royal’, while the art historian Sir Roy Strong wrote that she was ‘tiresome, spoilt, idle and irritating. She has no direction, no overriding interest. All she likes is young men’. But, although she had expensive tastes and was a consummate snob, Margaret’s choice of Scotch whisky was modest: throughout her long and privileged life, she remained steadfastly loyal to her favourite brand, The Famous Grouse. Margaret Rose was born in Scotland, and her father became King George VI after the abdication of her uncle, Edward VIII, in 1936. In 1952 her elder sister Elizabeth succeeded to the throne. A noted beauty, Margaret had many suitors and became romantically attached in the 1950s to Gp Capt Peter Townsend, a dashing divorcé. However, she decided against marrying him when it was suggested that it might result in the loss of her royal privileges and, most alarmingly, her substantial personal income from the Civil List. The unmarried princess and her society chums – the so-called ‘Margaret Set’ – were regular visitors to West End theatres and the top London nightclubs, and she was famous for partying until the early hours. Although her tastes sometimes ran to gin and tonic or a glass of wine, her favourite tipple was whisky – most specifically, Famous Grouse with a dash of water. Margaret was apparently quick to notice if any other brand of whisky had been poured in her glass, and would refuse to drink it. She also insisted that only Malvern Water was acceptable as a mixer; however, her footman David John Payne later claimed that, when Royal supplies ran out, he would occasionally top up an empty bottle with tap water and she appeared not to notice. Biographer Noel Botham recorded that a decanter of Grouse was ever-present on the drinks tray at Margaret’s apartment in Clarence House during the 1950s, and she would take a drink before setting off for an evening out. The Margaret Set were often invited back after a night on the town but, while the Champagne flowed, she preferred her favourite whisky and water – ‘it was the only drink she really enjoyed in the evening’, wrote Botham. Whisky was not only for evenings, however. Margaret’s duties involved attending functions and making official visits in Britain and abroad. Her hosts were made aware that Famous Grouse and Malvern Water should always be available for her, no matter the time, the place or the occasion. There are stories that waiters had to be stationed at regular intervals at garden parties and other large venues, to top up her glass as she circulated among the guests. Such anecdotes may sometimes be exaggerated, but are repeated in countless diaries and press reports. Other sources refer to British embassies being instructed to ensure that supplies of Famous Grouse were delivered to the locations of her overseas engagements, while the American socialite Solange Batsell-Herter remembered Margaret visiting a friend in Vermont in 1965. In 1960, Margaret married photographer Antony Armstrong-Jones and they irritated each other persistently until they divorced in 1978. By then, she had already allegedly embarked on a string of affairs, reputedly with celebrities such as David Niven, Peter Sellers and Mick Jagger. Her liaison with the young aristocrat and aspiring gardener Roddy Llewellyn featured regularly in the scandal pages of British newspapers, and she was photographed enjoying an apparently hedonistic lifestyle with him and other friends at her Caribbean home on the island of Mustique. The newspapers tut-tutted and accused her of neglecting her official duties in the UK. Margaret’s drinking and 60-a-day smoking habit were also the subject of criticism, as the British media relaxed its traditionally deferential treatment of royalty. One report claimed flippantly that she had taken up a new craft hobby, gluing matchboxes to tumblers (to make it easier to light a cigarette while drinking). In 1989, while enjoying a post-prandial glass of whisky on Mustique, she suffered a stroke. She scalded her feet severely in a bath in 1999 and cut an increasingly forlorn and bloated figure, often photographed in a wheelchair, until a third stroke killed her in 2002. For one who led such a Champagne lifestyle, Margaret’s loyalty to a relatively modest brand of blended Scotch seems remarkable today. It was best demonstrated on a visit to the Macallan distillery in the mid-1980s, when her hosts offered her a glass of their famous single malt Scotch. Margaret, of course, refused, and insisted on a glass of… but you can guess the rest. Princess Margaret’s love of Famous Grouse was shared by her brother-in-law, Prince Philip, who made sure it was always stocked at the Royal palaces and aboard the Royal Train. Michael Fagan, who famously broke into the Queen’s bedroom in Buckingham Palace in 1982, claims he was given a glass of Grouse in the Royal pantry while awaiting the arrival of the police, and the brand received a Royal Warrant from the Queen in 1984. The Duke and Duchess of Cambridge have continued the brand’s Royal connections, opening The Famous Grouse Experience at the brand’s home, the Glenturret distillery, in 2014.